Nationwide commercial and residential japanese knotweed removal service. 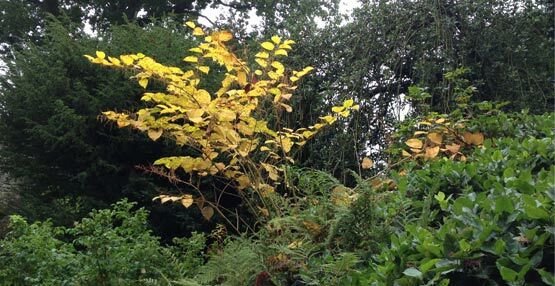 Tree Heritage offer a Nationwide commercial and residential japanese knotweed removal service. Japanese Knotweed is an invasive, non-native plant which has the ability to spread to and cover large areas of land because of the way it reproduces. It has underground stems called rhizomes and a piece as small as a fingernail can produce a new plant. This small piece, once broken off, can spread via water if the plant is alongside a river, stream or lake. Or it can be picked up and moved in the soil if it’s disturbed by digging or attempting to cut and remove it. Spraying with herbicide does not necessarily kill the plant – although the top growth dies back, the underground rhizome may still be alive and can easily re-shoot. There will need to be repeat applications in the following years of all young growth to ensure the knotweed does not return. Spraying with herbicide isn’t the best solution if the Japanese Knotweed is growing anywhere near water, or in proximity to bees and other pollinators, or even other plants which are to be retained but may be killed by herbicide. Our approach to Japanese Knotweed Treatment involves none of the worries associated with spraying chemicals – one correctly applied treatment is sufficient to eradicate the infestation. We guarantee to kill the plant and end your worries with one visit!